Benalup Golf is situated in a unique environment with stunning views over the “La Janda” valley and the “Los Alcornocales” natural park. Playing golf has to be a pleasure, exclusive but still affordable, with respect for etiquette. Therefore we have chosen for a very limited number of players per day in a pleasant atmosphere on a course where nothing is left to chance. The 6073m natural course with various lakes is a real challenge for all types of players. The lower handicaps will certainly enjoy the technical challenge whilst playing from the back tees. The greens are large and on some holes quite undulated. 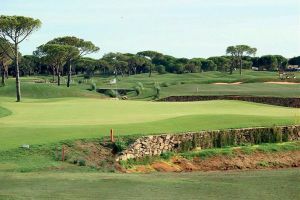 The course can be qualified as flat, with abundant trees that – apart from offering a nice landscape – determine the way of attacking the green. The water hazards integrated in the course’s design play an important role in the game’s strategy. There are 7 lakes in total (on hole 1, 4, 5, 8, 9, 13, 14 and 17). Hole nº 13, a PAR 5, is one of the most spectacular holes with a small lake just in front of the green. The 10th hole 10, a PAR 3, overlooks the entire “La Janda” valley. 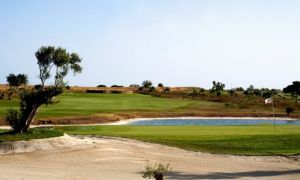 The natural yet very technical course of Benalup offers great versatility and is a challenge for all types of players. The course compensates the flaws of each golfer by allowing him to get the best out of his game whether it is a good tee-off, approach or putt. The all-inclusive green fee makes Benalup Golf & Country Club unique. The green fee includes breakfast, refreshments on the course, a 3-course lunch and drinks.Benalup Golf es un campo de golf natural hecho totalmente en terracottem. Los planos para Benalup Golf llevan la firma del conocido arquitecto de terrenos de golf, Baron Paul Rolin. Los fairways y greenes fueron implantados en el terreno ligeramente arbolado de forma responsable, respetando la naturaleza. El recorrido de 18 hoyos tiene muchas trampas de agua. 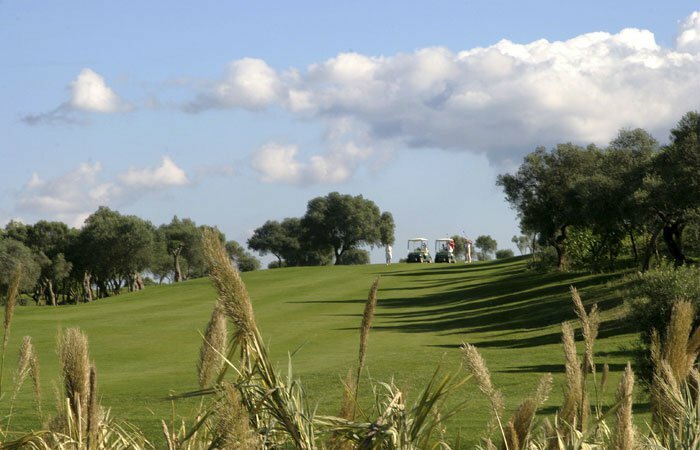 Benalup Golf ofrece también una espléndida vista sobre la Laguna de la Janda, una grandiosa llanura que está completamente desecada. Si hace buen tiempo se puede ver la costa africana. 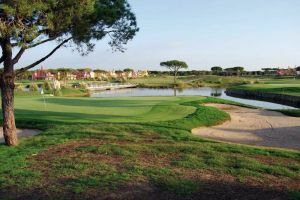 Benalup Golf is situated in a unique environment with stunning views over the “La Janda” valley and the cork trees natural park. 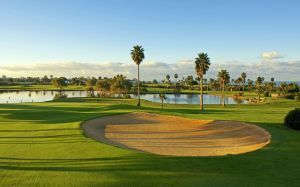 Benalup Golf Club is situated high in the Janda Valley inland from the historic hilltop town of Vejer de la La Frontera. With the fantasic and sumptuous Fairplay Golf Hotel – luxury suites hotel – on site your visit to Benalup will be very worthwhile. Benalup Golf & Country Club is not yet in our pool of Golf Courses for orders.